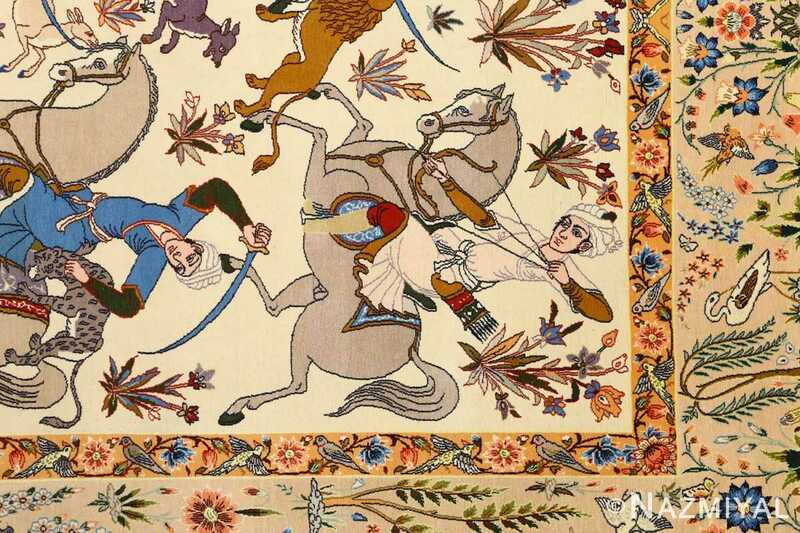 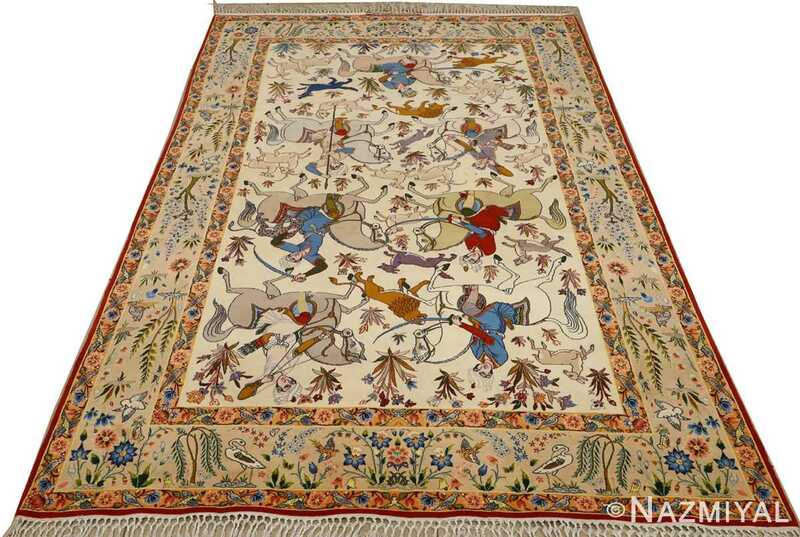 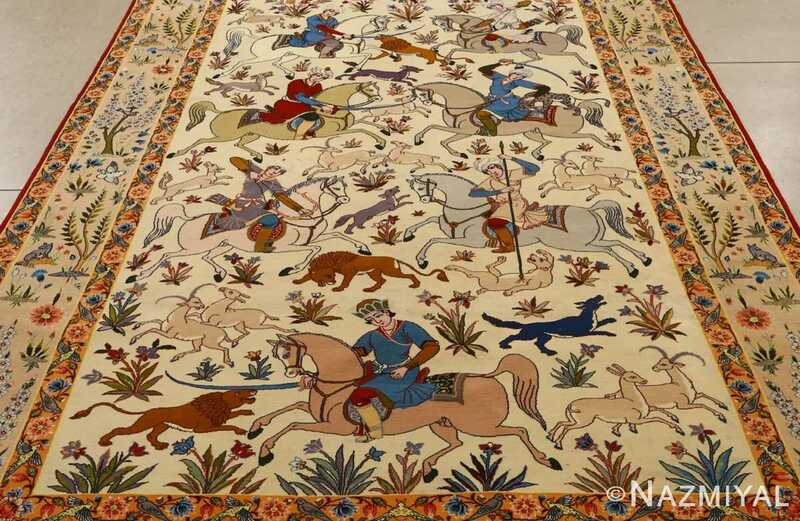 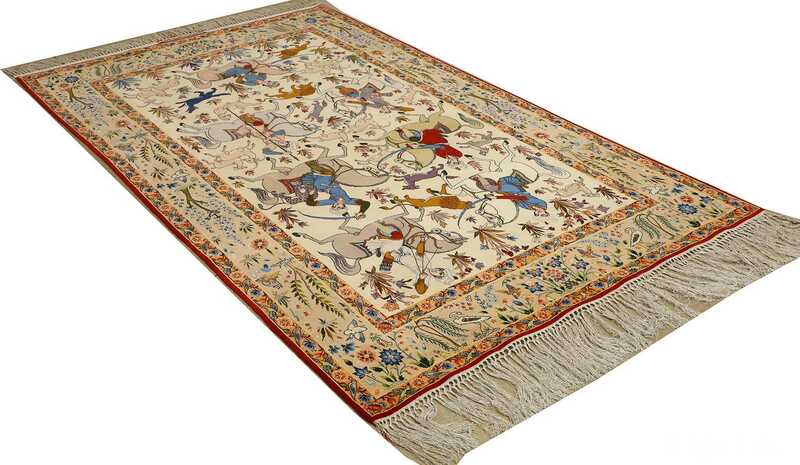 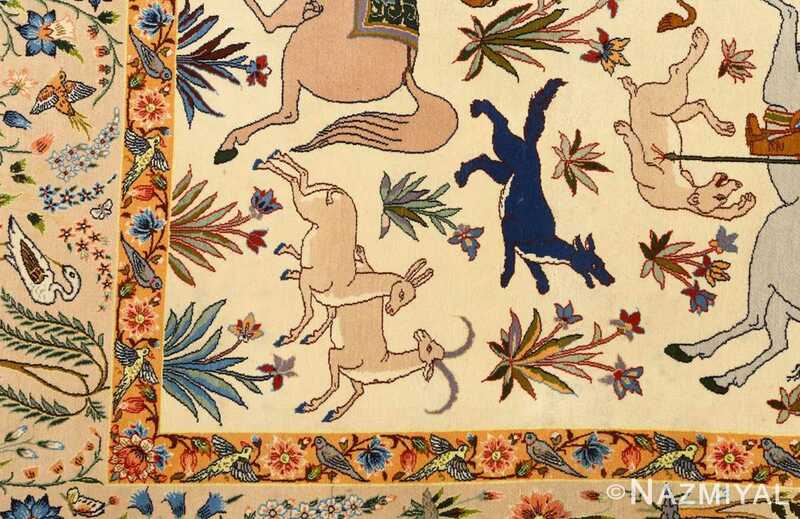 Intricate Hunting Scene Vintage Isfahan Persian Rug 51169, Knots Per Square Inch KPSI: 625, Country of Origin / Rug Type: Vintage Persian Rug, Circa Date: Late 20th Century - Antique Persian Isfahan rugs have long been renowned as some of the most beautiful and defining Persian rugs to come from what is modern day Iran. 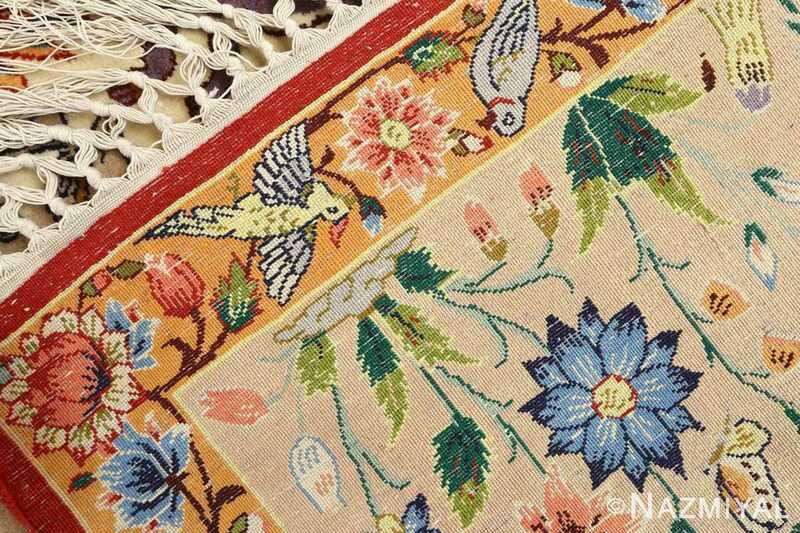 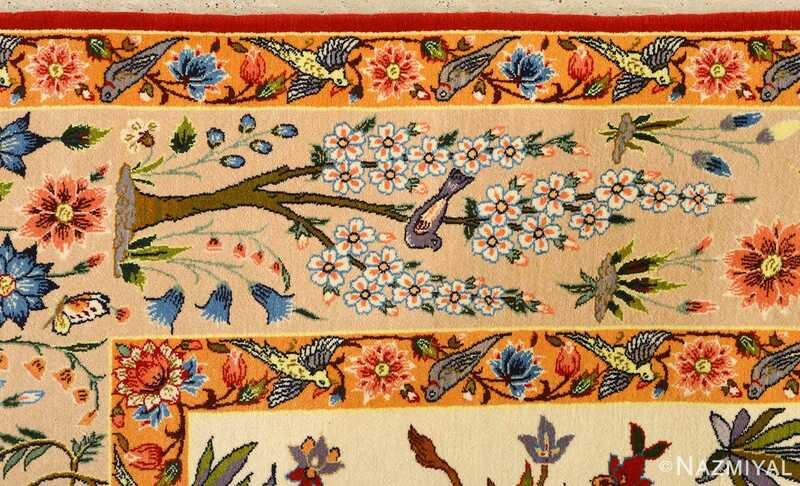 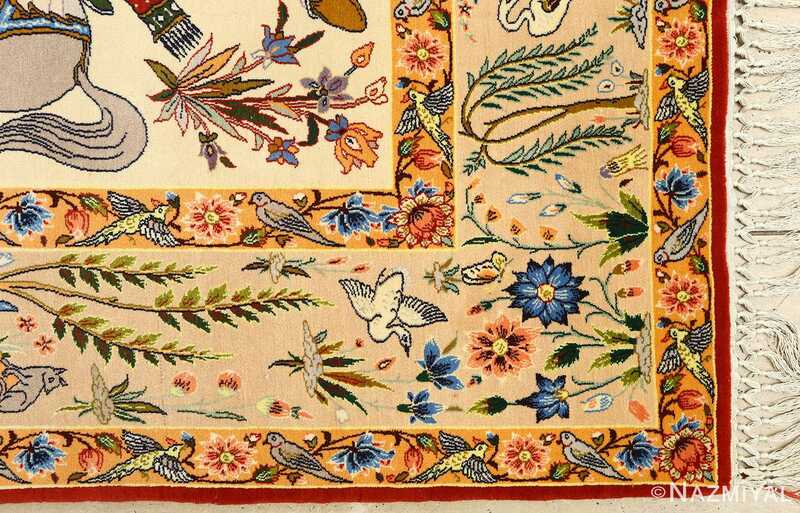 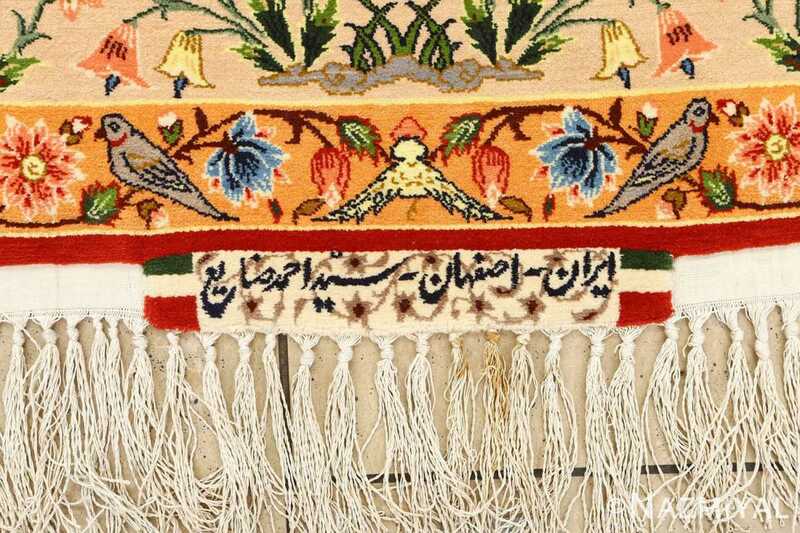 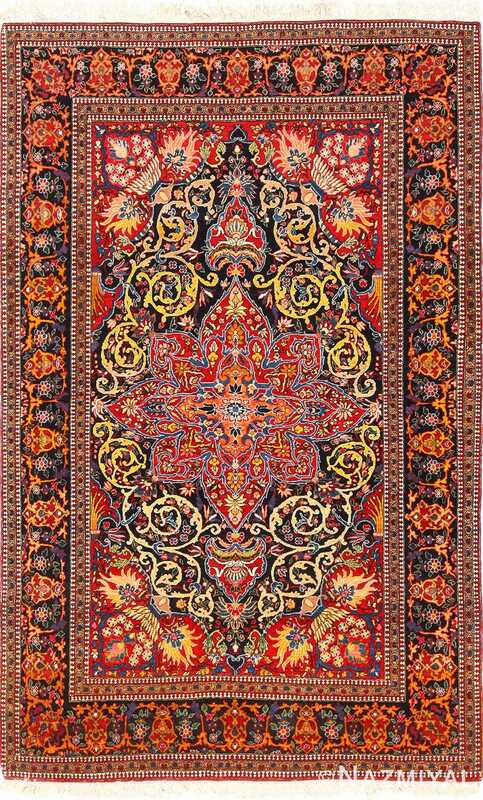 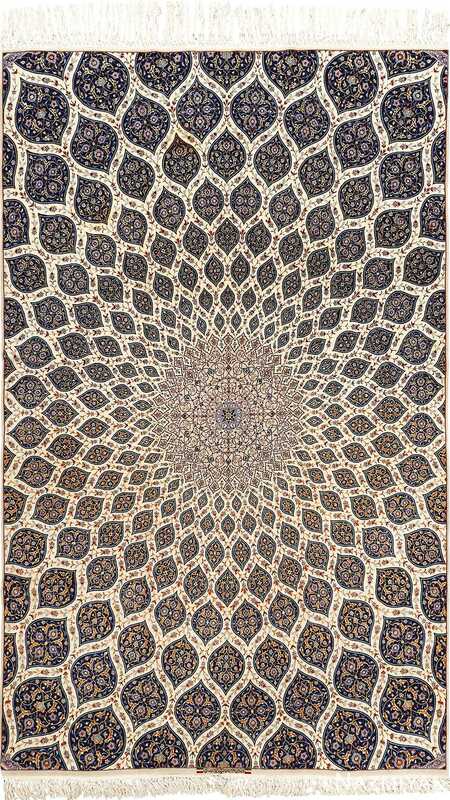 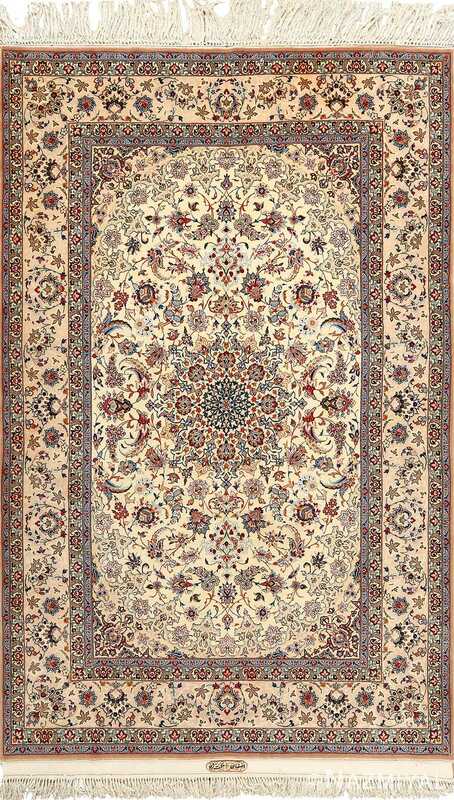 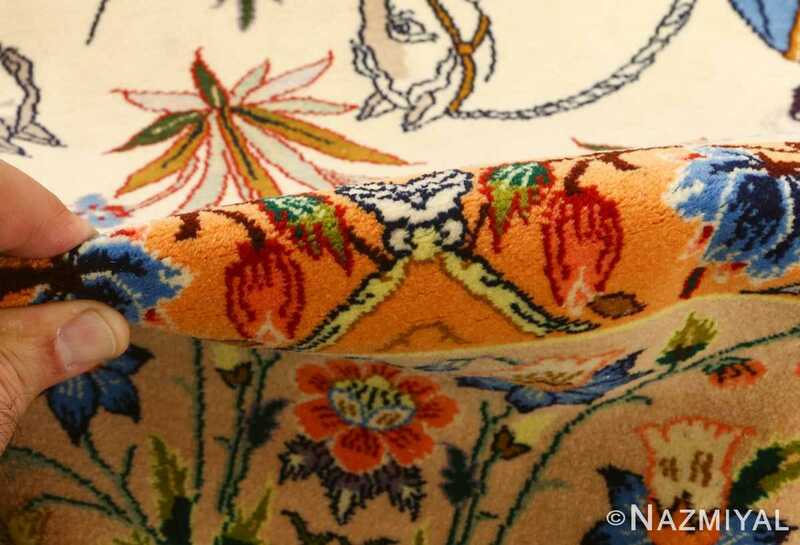 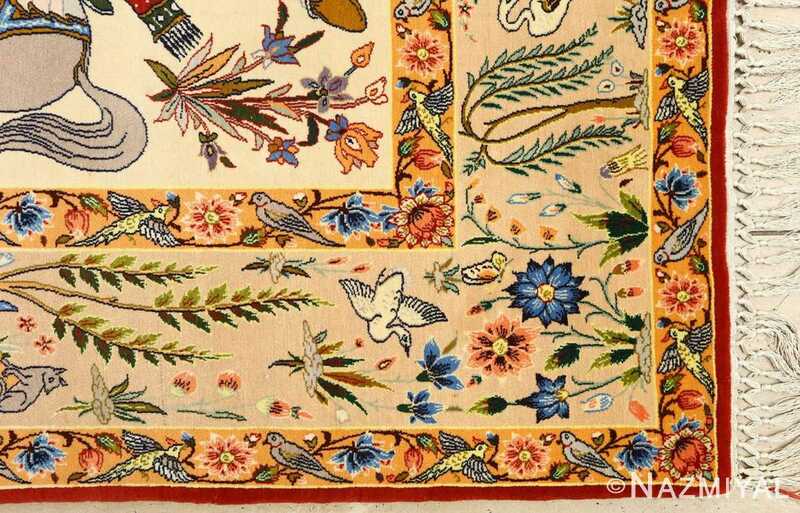 The city of Isfahan enjoys a rich and long-lived history of rug making, the style recognizable through the use of thematic and concrete motifs that are borrowed from traditional Persian culture. In this particular piece, a hunt is detailed, and a border featuring vibrant and playful colors surrounds the heart of this magnificent vintage Persian Isfahan rug, grounding and illuminating the space within. 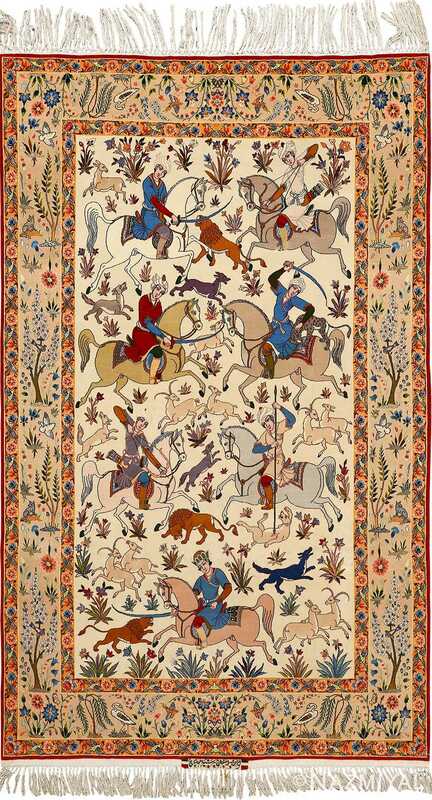 Several hunters on horseback chase antelopes and lions, wielding swords and bows for the hunt. Shrubs and bushes define the foreground and background, adding depth to the action at core of this magnificent vintage Persian rug.